Will the Pole Tongue Adapter #95-01-5950 work with Curt Weight Distribution Systems? No, the Pole Tongue Adapter will not work with Curt Weight Distribution systems. 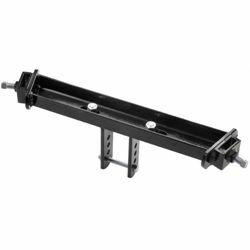 The adapter can be used with all Equal-I-Zer systems, Fastway Weight Distribution systems and straight trailer tongues not exceeding 5" wide.